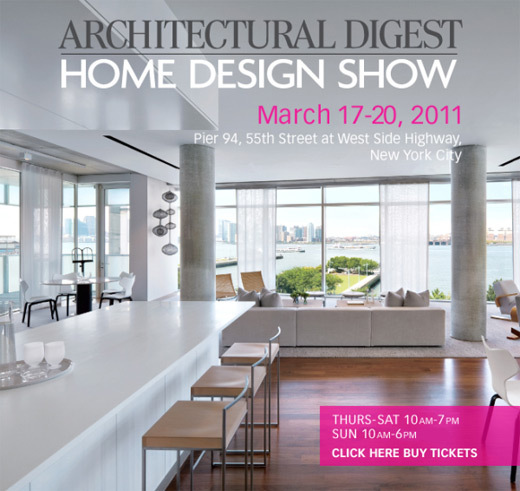 Sophisticated Minimalism & The Architectural Digest Home Design Show – Back Bay Shutter Co.
What better way to get some inspiration after a long COLD winter than to head for The Architectural Digest Home Show in the big apple. 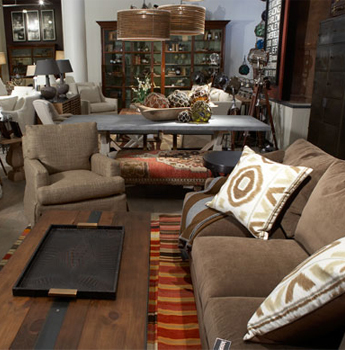 We hadn’t been to the show for several years and wanted to see how it had evolved, and of course, we also wanted to check out the trends in shutters, shades, blinds and window treatments. Architectural Digest, is undoubtedly one of the best shelter magazines on the market. With stunning photography, engaging interviews and a peek inside homes we might never get a chance to see, this is one of our favorite reads. And the show was just as exciting as the publication. A sophisticated minimalism seemed to run through the booths of the almost 300 exhibitors. With a Keynote by new Editor in Chief of Architectural Digest, Margaret Russell (coming fron 21 years at Elle Decor), design seminars, cooking demonstrations by celebrity chefs ,and a new artist sale and exhibit, there wasn’t a dull moment. The Lillian August Store at 12th W. 20th in NYC. We were also lucky enough to bump into some of our New England friends. We saw the detailed and beautiful work of cabinetmakers Kochman, Reidt + Haigh, the sophisticated furnishings from Ligne Roset, and contemporary and ancient hand selected design items from Jia Moderne. And we enjoyed spending some time with the fabulous vice president of stores and marketing at Lillian August, Ms. Skye Kirby. We’re looking forward to next year’s show and are considering becoming an exhibitor. Thanks, Architectural Digest, for kicking off Spring in such a stylish way.